Last month we ran another successful camp. Based at the Mt Hotham Biathlon Arena, this was the annual Pre-European Season National Camp, combined with a Future Stars Camp. The aim was to assist athletes prepare for a successful 2016/17 season, as well as to allow new “Future Stars” to build on their experience during the 2016 Australian Winter Season. 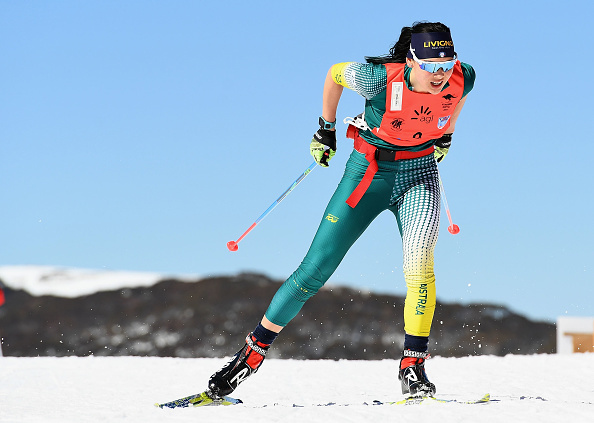 On the Saturday, the Mt Hotham snow conditions near the Hotham Village area allowed a morning ski, which was followed by a running and shooting session at the Hotham Biathlon Arena. After a series of technique and practice drills, there was some fun competition, including the ever-popular relay races. Saturday afternoon training was a long slow hike in the Hotham alpine area. In the evening there was a seminar, where attenders heard about the changes made at the IBU Congress 2016, along with Australian Biathlon’s overall plans for the 2016/17 Northern Hemisphere Season. On Sunday, there was a morning jog, followed by another shooting and running session, with a gym session after lunch. It was a great opportunity for participants of all ages to get together and train at Mt Hotham, home of biathlon Downunder. Many thanks to Cameron Morton, who arranged the weekend’s program, and was assisted by Barry Field, Phillip Colebourn and Genevieve Yan-Colebourn. First East Gippsland laser biathlon event a hit! On Saturday 13 February, East Gippsland Biathlon Club (EGBC) held a very successful club training event, at the Bairnsdale Aquatic and Recreation Centre (BARC). Twelve juniors aged from 7 to 14 participated in the skills development workshop that involved both rollerskiing and laser biathlon shooting. Coach Cameron Morton began the session with a warm up, consisting of coordination and ski simulation exercises, before splitting the group into rollerskiers and laser shooters. Each group received an hour of tuition and training, before swapping over. The venue was excellent, with the car park closed off from traffic for rollerskiing, allowing a 400m and 600m loops, and the Secondary College’s bus shelter was idea for shooting undercover, with sun protection and shade from the 30 plus degree day. At the end of the two hours, all participants took part in a simulated biathlon event, where some excellent shooting skills were displayed. “The West” Team prevailed over “The East” Team to be the champions.